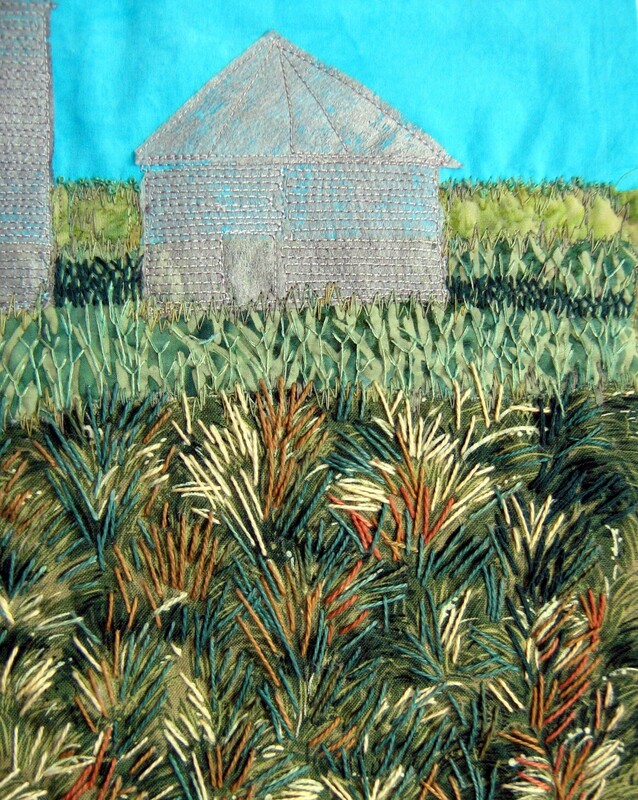 The wee charm on this piece was resurrected from my jewellry box. Back when I was a Serious Runner (30 years ago) I wore this on a chain around my neck and was rarely without it. 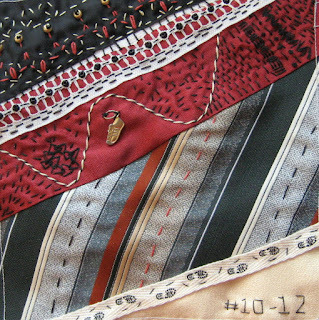 The cute tape with footsteps on it was a recent find (Wednesday) at a scrap-booking store in Stettler (Pages in Time -- sorry, no website to be found). 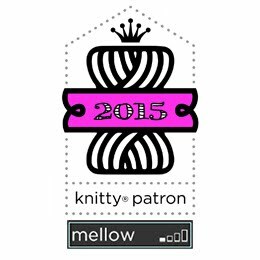 While I've stitched I've been taking in online Inspiration to Quilt Expo -- interviews with the nominees for "Most Inspiring Teacher of 2011", quilt galleries, a demo area and of course a merchant mall -- and some more episodes of The Quilt Show, which I absolutely love. 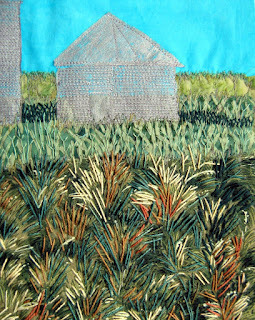 The grain sheds are coming along nicely; I like the texture in the grass! 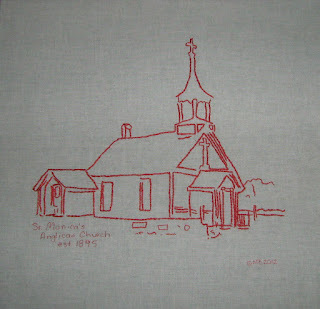 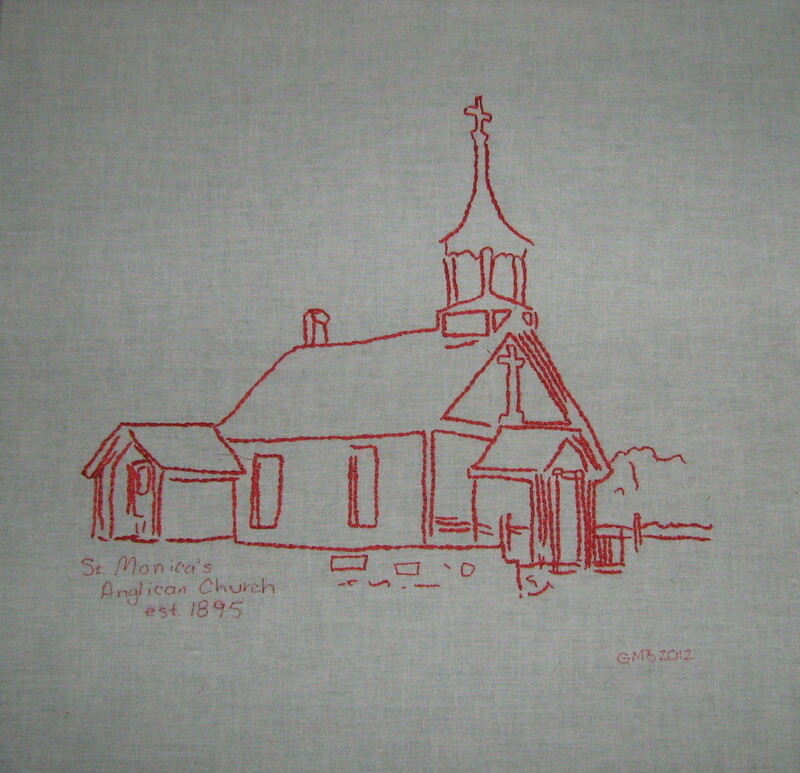 ...The embroidered church reminds me a little bit of the old blanket I have that Aunt Alice did nearly 90 years ago. 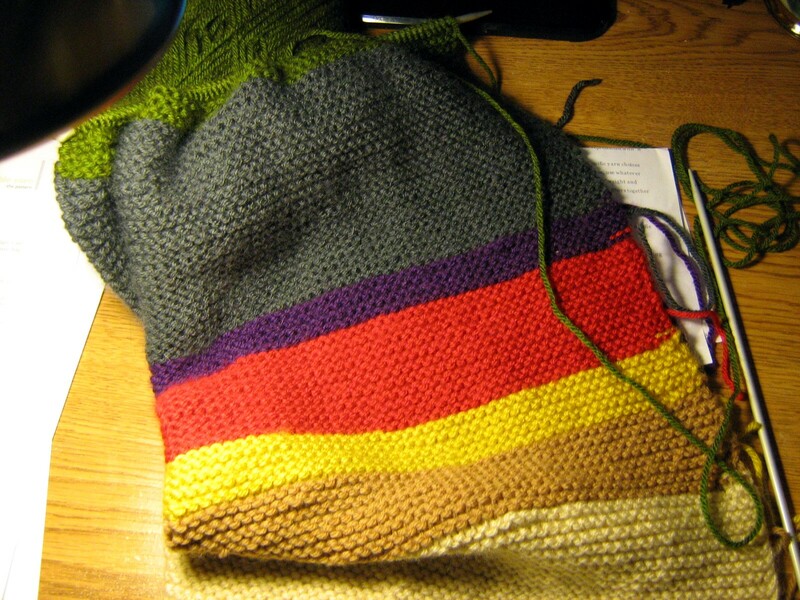 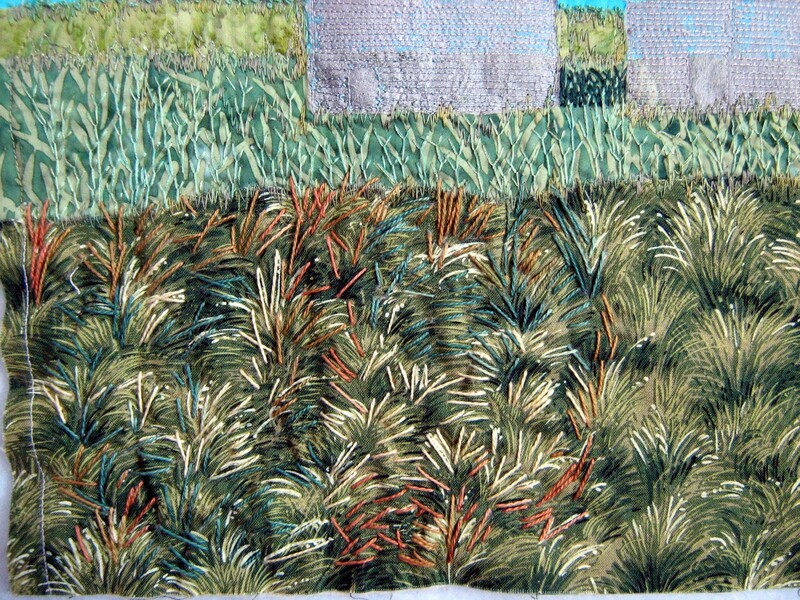 I really like your grass stitching.